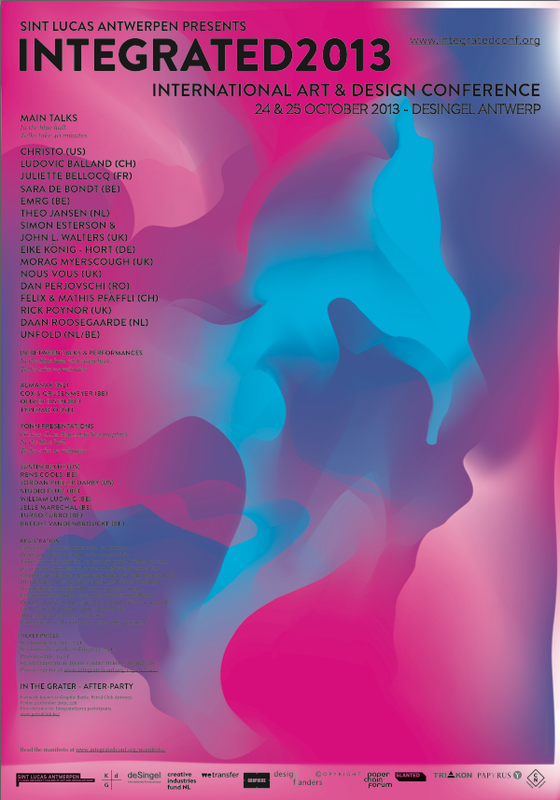 Integrated is a biennial art & design conference organized by St Lucas University College of Art & Design Antwerp in collaboration with deSingel International Arts Campus Antwerp. It will take place on 24 and 25 October at deSingel in Antwerp and features speakers such as Christo and Rick Poynor, among others. More info on the event on the conference website. I contributed some translation and proofreading work.